Beyond any doubt, the current American colonial policy and war strategy is not only a reason of loss in Afghanistan but is also a factor in the widespread insecurities and chaos gripping regional stability and security. In addition to that, it is also a path full of challenges and risks in terms of future consequences and results for America. Especially since Donald Trump has been elected as the President of United States, problems and insecurities have multiplied in Afghanistan, the region and the entire world generally. And this increase in problems shows that America along with the entire force at its disposal has completely failed in this ongoing illegitimate war, bringing Trump and his administration under intense criticism by several members of the American Congress. During the brutal invasion of Afghanistan, the American policy makers thought that they would make Afghanistan their permanent colonized territory in a matter of a few days and nights, and reap the benefits of geographical position and strategic location of Afghanistan to frighten and terrify the neighbouring countries of the region and make them accept their ideals without questioning. Due to the reason of that confidence, Americans took the matter of permanent occupation of Afghanistan very lightly or in other terms, like stealing candy from a baby. They only deployed 1300 soldiers in 2001 at the beginning of invasion, but faced historic resistance by the people of Afghanistan. They even asked for political and military aid from fifty countries including NATO and at the height of their power, deployed a hundred thousand soldiers in the 2010, which inevitably faced the same consequences of failure and a large number of soldiers were humiliatingly compelled to leave the country without any remarkable success. Yes! Today America and her allies still have tens of thousands of troops in Afghanistan and their bombers are operating 24/7 in Afghanistan’s airspace! Mercilessly attacking the defenseless Afghan people, martyring dozens of children, women and common civilians, but at the end of the day they are facing the worst defeat in the battlefield, without gaining any strategic achievements. 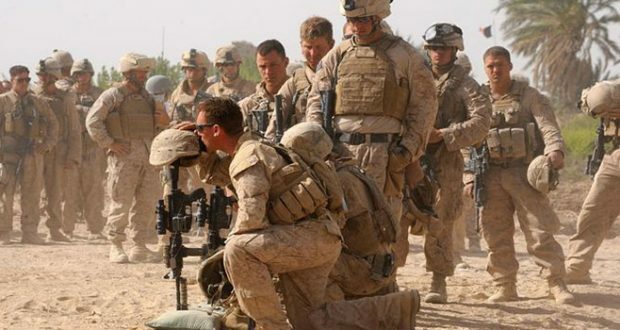 On the other hand – because of the presence of American military – the lives, honor, and the prestige of Afghan people are not safe, harassment and corruption has been reached its peak and the puppet regime officials are drowned in corruption and misconduct up to their noses. The feudal warlords have again returned as the waves sedition are moving swiftly inside the puppet regime, which in general are the greatest proofs of American decline. Furthermore, according to the international media, 70 percent of the Afghan territory is controlled or influenced by the Taliban (Islamic Emirate) whereas the regime that is standing on American military, economic and political support, exerts authority over only 30% of the land. It is highly plausible that in the near future the 30% regime authority will decreased steadily and more areas will fall under the control of the Islamic Emirate and the Mujahidin. In such a case the only reasonable solution to the Afghan dilemma is to give a positive answer to the Taliban’s latest letter so that America may give up brutal bombings campaigns and understand the realities. And so that it may begin believing in the importance of dialogue, to acknowledge the status of Islamic Emirate of Afghanistan as a true representative of the free people of Afghanistan. It is also imperative to know that even if America continues to prolong the war for many more years in Afghanistan, they are going to face the same destructive consequences that the Soviet expeditions had previously faced. America should act sensibly, learn a lesson from the Soviet experience and seriously begin thinking about withdrawing forces from Afghanistan instead of intensifying and expanding the war in hopes of delaying their defeat. 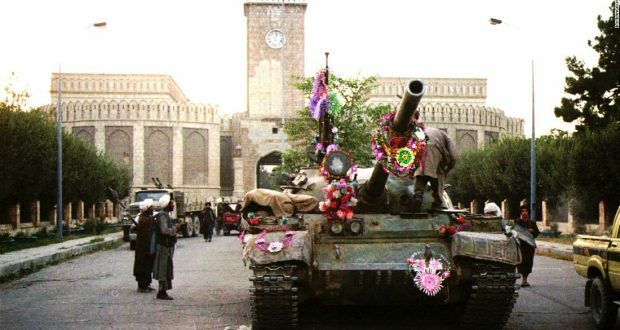 More than 17 years ago the only Islamic government in the world (Islamic Emirate of Afghanistan) was brought down by American invaders with the support of more than 50 coalition members. The Islamic Emirate of Afghanistan tactically retreated back in 2001 to start guerrilla warfare in order to drain the American invaders, the results of which are clearly visible after decade and a half of war. The Islamic Emirate of Afghanistan was formed as the country was in turmoil where warlords running militias were killing and looting the common people and atrocities and war crimes were performed on a massive scale all over Afghanistan. The Islamic Emirate of Afghanistan was a movement to free the common people from oppression and to ensure their rights. The country was lingering and the people were barely surviving after the expulsion of the Russian invaders. People had high hopes after the Russian invaders withdrew but some foreign stooges sold the hopes of the common Afghan people and the country was on the brink of dissolving. Taliban removed corruption from the land of Afghanistan and established a pure Islamic system of governance. The warlords were arrested, the lawlessness ended and the basic rights of common Afghan Muslims were ensured. From the beginning of the establishment of the Islamic Emirate of Afghanistan, it was thorn in the throat of the American oppressors and cruel rulers of the west. There were many sanctions imposed on the Taliban government to cripple the economy and a mass scale media propaganda was in full swing. Despite these hurdles the common people of Afghanistan were enjoying their lives in an atmosphere of peace and they had high hopes of prosperity. There were no areas left where the Islamic Emirate hadn’t implemented the Islamic law. After the tactical retreat of the forces of the Islamic Emirate of Afghanistan, the invaders set up their puppet regime under Karzai. Warlords came back into power, documented criminals and human rights abusers were appointed high posts in the government. Afghanistan made records in opium productions during this period and continuous to do so until today. People are sick of corruption and intimidation by the powerful elite of the government. Afghanistan is holds the dishonor of the most corrupt countries. Despite the influx of billions of American dollars, the country is reeling in poverty and the rates of unemployment are sky high. Democracy has only brought misery and suffering to the people of Afghanistan. There is no cheap justice for the poor, in fact even government officials are crying for help. There is a rebellion by the former supporters of the puppet president Ashraf Ghani. This leaves us with a question as to why there again arises a need for Taliban in Afghanistan? The reasons are many, let’s shed light on some important issues. Those areas under the control of the Islamic Emirate of Afghanistan has peace. According to the statistical figures almost 50% of the country is under the direct control or very strong influence of the forces of the Islamic Emirate of Afghanistan. There is no corruption in those parts, schools are running smoothly, justice is delivered quickly to people and the common people now approach the Islamic Emirate to solve their disputes more than ever. There are no private militias of warlords in those areas, there is no corruption in parts of Afghanistan under the control of the forces of the Islamic Emirate of Afghanistan. Taliban have started welfare works and even cash and food supplies are delivered to the needy and poor. Small scale developmental projects have also been launched by the Taliban. In contrast people are sick from the intimidation of the US invaders and the corrupt regime rulers. They are tired of the lawlessness and corruption. There is not even a single step taken to improve the situation in the capital Kabul itself. Everyday there are thefts, kidnappings and the society has become a so poisonous that many people living under the government control areas are leaving the country. The social injustice has reached new heights. The racism and intolerance within the regime has caused deep fractures in the Afghan society. Ashraf Ghani has become the mayor of Kabul as his power has been reduced by the warlords. He has to rely on Americans and has to do whatever they say while the same warlords are then in turn supported by the Americans and are funded by the US embassy. The above arguments and reasons have compelled the common people to ask for the return of the Taliban. The only legitimate rulers can be Taliban in Afghanistan because they are what the people want. These facts are presented in several research and analysis even by western pundits. The imposed democracy on the Afghan Nation has failed and the result are visible to the whole world. This cements the fact as to why there is again arises a need for the Taliban in Afghanistan. Currently, media has become a successful tool in defence of religious and moral values. It is an effective source of inspecting every country and society, and its contribution in playing a conventional role in shaping a stable and strong society is transparent and crystal clear. The countries of the world – where moral values are being neglected – have confronted such chaos and moral disabilities that leaves no way of getting out of it for the affected countries. Our beloved country (Afghanistan) – after the American invasion – has also encountered repetitive and irreversible damages by the so-called independent media in religious and moral perspectives, which are increasing on a daily basis. In contrast to the numerous Western media, there exist only few patriotic and Islamic media outlets in our country, which have few resources to stand against the intellectual and cultural invasions by deviant and corrupt media. What is the importance of Religious and Moral Values? Religious or moral values are the guarantors of decency, justice and social success of any society. What we mean by values is actions, deeds that are considered as religion, law, and etiquettes in a society, and being regarded as great ideals in the social environment. In other terms, values consist of all those good actions and rites that are highly valued and respected, where people dignify and regard them and uphold them in their lives to improve and advance. What are Islamic and moral values? Islamic and moral values are: Humility, shyness, patience, sacrifice, respect for elders, virtuous behavior towards children, good character, valuing time, human respect, attending the patient, moderation, loyalty, brotherhood, civil union, sympathetic attitude toward each other, aiding the poor, preventing oppression and cruelty, assisting and helping the oppressed and the like… those who are called Islamic and moral values. 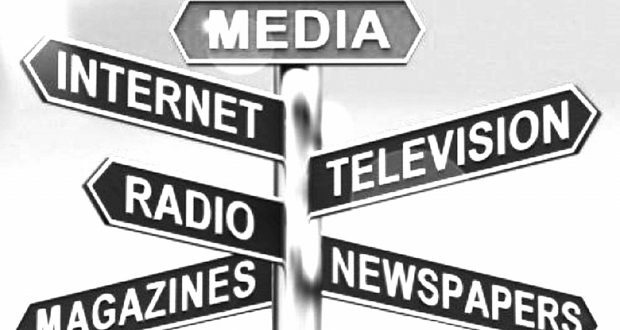 The media owners and authors are obliged to take the above mentioned values under consideration, meaning: to use their responsibilities and contributions – as being a part of media in any way – for awareness of people, in one way or the other; to stick to those values and not to violate them in their daily, weekly, monthly and timely publications at any cost. Every media person should be aware of their religious, moral and national responsibilities, be cautious and sensitive about those responsibilities, and should be proud of them. If a Muslim does not take pride in his cultural, civilizational and moral values and propagate these values of others, this will lead him to very unfortunate consequences. It is usually said that media represents whatever goes on in a society, which means that media actually portrays society. But that is not true, the fact is that besides portraying society, it also takes ownership of the intellectual leadership of the society, people of society hear and accept according to what media shows them. So the media has to fulfill its responsibility of educating its followers in a positive way, and not to promote and publicize evil deeds in the society. Experts say that media carries both positive and negative aspects that can play a part in advertising good as well as bad. Tt can give strength, determination, and tendency of doing better to a society, can give social, military and cultural supremacy, political and national consciousness, can raise its voice for the truth and harmony, but on the other hand, by publishing false rumors, it can also suspect itself and its beliefs, can raise its voice for hypocrisy and dissension. This is why the ‘media’ outlets that do not work for aliens and its workers are not employed as laborers, must raise their voice against invasion, bring unity and harmony among the people of society, explain national and religious responsibilities of the Afghan people, fulfill their responsibilities of bringing success and happiness so that a uncontaminated, strong and vibrant community can be created throughout the world. For this purpose, it is important to decide what sort of changes must be brought to society? And which direction the new generation needs to be pushed? And upon which idea the new generation needs to be trained? And what are the messages that need to be convey to the people? Today the vulgar, indecency and Indian movies being screened on televisions in Kabul, Jalalabad, and Balkh do not represent our religious and national attitude, in fact it is an imposition of an alien and secular culture over our people. Are we in any need of such obscene broadcasting? Or are we in need of scientists, doctors, engineers, scholars, poets, and Mujahedeen? Do we require fruitful entertainment or such disillusions in the name of Art? The fact is that whatever is being conducted in the name of media these days in the Islamic states especially in our beloved country, is highly harmful leading to very negative and destructive consequences. Media lies to the people, frightens them with fascinating titles and propaganda, and promotes prostitution, indecency and profanity. Instead of stabilization, it endorses negative roles and adopts unlawful ways to impose western culture over the Afghan people. According to reports, for over a week now the killing spree and the spilling of blood of the innocent defenseless Muslims in Syria has again been restarted. 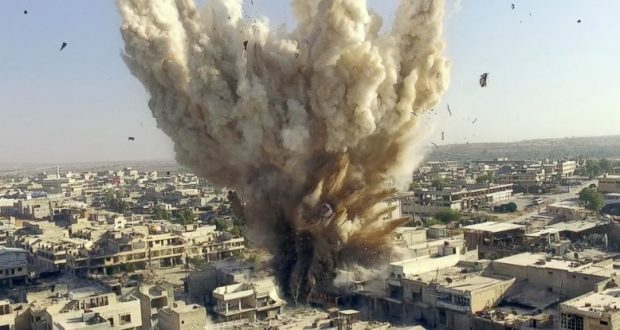 According to the latest information and statistics around 500 Syrians have been martyred and another 1400 are injured in the aerial indiscriminate bombings of the criminal Bashar regime and the Russians. These broad day light aerial bombings are carried out in the besieged Eastern Ghouta region in Damascus. Most of the martyred and injured are children and women. The Eastern Ghouta region in Damascus is under the control of the rebels since the past 5 years and the tyrant regime of Bashar al Assad has besieged it. Several International aid agencies and human rights organizations have repeatedly called for the lifting of this inhuman and tyrannical siege. The criminal regime of Bashar has not yet lifted the siege and it is bombing the region severely, there are barrel bombs dropped daily and the Russian bombers are dropping heavy ordinance explosives daily on the besieged Muslims. It has been 7 years since the Syrian crisis began with the start of the Arab spring protests. The initial stages of the demonstrations were a domestic issue but then with emergence of the Daesh, the Americans, Russians and other regional countries found excuses to launch military intervention in Syria, which are continuing till this day. About a million Syrian Muslims have been martyred, millions have been forced to migrated outside of the country. Most of the casualties of this war are children and women who are the most vulnerable of the Muslim civilians. The Islamic Emirate of Afghanistan is deeply worried about the atrocities committed against the Syrian Muslims irrespective of the different sides and parties involved in this conflict. The Islamic Emirate of Afghanistan is specially very concerned about the killings of the defenseless Syrian Muslims and the sufferings which they have endured during these past 7 years. The Islamic Emirate of Afghanistan strongly condemns these cruelties against the Syrians Muslims specifically the happenings in the Eastern Ghouta region of Damascus. This besieged enclave of Damascus has witnessed one the worst massacres of the Syrian revolution in the last week. We pray and we are hopeful that Allah the Almighty will help all the oppressed Muslims including those in Afghanistan. We ask Allah the Almighty for help so that the Muslims are relieved from these cruel tyrants and corrupt rulers who have brought tremendous hardships upon the innocent Muslims worldwide. We call upon the Muslim Ummah to set aside their internal differences and focus their energies and efforts on the real external enemies. The Muslim Ummah should join their hands together and help each other and weaken and destroy the evil designs against the entire Ummah. The lands of Muslims are occupied by these foreign invading enemies and the Muslims have been barred from practicing and implementing an Islamic system in their own lands. The enemies of Islam are preventing the Muslims from living in freedom and independence. All the Muslims should realize that the success is in unity and only a unified Muslim Ummah can achieve and retake their rights from these tyrants. The Political Office of the Islamic Emirate of Afghanistan calls on American officials to talk directly to the Political Office of Islamic Emirate regarding a peaceful solution to the Afghan quandary. It would help in finding a solution if America accepts the legitimate demands of the Afghan people and forward its own concerns and requests for discussion to the Islamic Emirate through a peaceful channel. The Islamic Emirate made it clear to the American people and congressmen through an open letter that war is not our choice, rather it has been imposed upon us. For ending the occupation, we want a peaceful resolution to the Afghan issue. It must now be established by America and her allies that the Afghan issue cannot be solved militarily. America must henceforth focus on a peaceful strategy for Afghanistan instead of war. Military strategies which have repeatedly been tested in Afghanistan over the past seventeen years will only intensify and prolong the war. And this is not in the interest of anyone. During the past 17 years, the occupying forces have constantly accused Mujahideen of being war-mongers and of not wanting peace and stability. However a few days ago when the Islamic Emirate of Afghanistan, via a very courageous and clear open letter based on facts and realities, proposed peace and negotiations, the occupiers unfortunately once again insisted on war and bloodshed by following their war-mongering policy. Likewise in order to escape from the responsibility and without any plausible reason, they resorted to their baseless propaganda that the Islamic Emirate of Afghanistan does not want peace whereas the Islamic Emirate has clearly raised its voice for peace and negotiations before the entire world. The occupiers and their sympathizers falsely presume that the Islamic Emirate of Afghanistan raised its voice for peace and negotiations because of weakness. Strange logic! Previously they were saying that the Islamic Emirate did neither want peace nor negotiation! Now they are saying it is weakened, is in fear of American bombardment and therefore raised voice for peace and negotiations!? The fact is that with this unique, responsible and reasonable step, the Islamic Emirate practically proved its real and responsible position to its people and the international community and made it clear to everyone who actually wants peace and stability and who opposes it. The occupiers and their followers must know that throughout the history, the Afghan nation has neither feared anyone nor has it bowed to any oppressor, rather has soiled the nose of every oppressor and aggressor. The Islamic Emirate of Afghanistan believes that, if the aggressors and oppressors think that with air strikes and use of force they would compel the Afghan nation to accept slavery and give up their demands, their thinking is certainly immature. Force and combat is not a solution. Last seventeen years have practically proven everything. If the occupiers continue to kill the Afghan people and destroy their country, then readily and ultimately they are going to dig their grave in this graveyard of empires with their own hands. Our sublime religion of Islam – just as it expounds on reformation of spiritual and moral wellbeing – also considers welfare, prosperity and economic advancement of an Islamic society and public charity as an obligation upon the Muslims. It is reported by Anas bin Malik (RA) that the Messenger of Allah (SAW) said: There are seven things, the reward of which will continue for the believer even after he is buried; those that teach knowledge to others, or builds water canal, or digs a well, or plants a tree, or builds a mosque, or leaves the Holy Quran in inheritance or leaves a child that prays for his salvation after his death. The main message of this narration proves that public welfare works are important Shariah legislated obligations in which every Muslim must partake in accordance with their capacity. It is due to this religious social obligation that the Islamic Emirate – alongside struggle for establishment of Shariah and armed Jihad – conducts development work for the wellbeing of its believing nation and reconstruction of its beloved homeland and has created special departments for construction and public welfare works. A key component of public welfare works for the prosperity of our people and homeland is agriculture and tree plantation. In this regard the esteemed leader of the Islamic Emirate – Amirul Mumineen Sheikhul Hadith Hibatullah Akhundzada (HA) – published a special decree last year asking the Mujahideen and common people to plant trees for the welfare of our country. This decree was widely welcomed by the people and a multitude of trees were planted throughout the country. With the approach of tree plantation season, the Department of Agriculture and Agronomics of the Islamic Emirate once again calls on its nation and its workers to comply with the decree of Leader of the Believers (HA) and asks the entire believing nation and Mujahideen to plant trees for the prosperity our homeland so that our nation and people can benefit from the abundant advantages of trees and greenery.